My kids LOVED this game! It can be played in groups of 2-4. 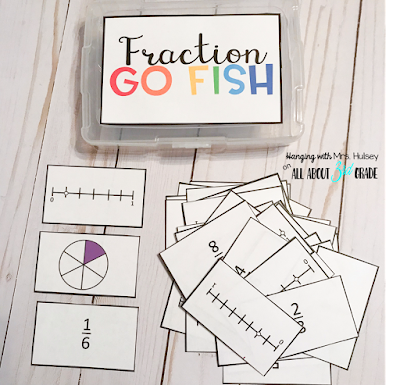 Rules are just like "Go Fish"-- however, students are trying to collect sets of 3 (fraction line, fraction picture, and fraction itself) to win! I have my kids set up a test divider to keep prying eyes off cards. You can also use file folders if you don't have any dividers. The great thing about this game is it can be played over and over-- and each time will be different! I copied my decks onto different colors of paper to help keep them separated. I am using Iris photo boxes to store the cards. Looking to add some movement? Try fraction bowling! I bought this inflatable bowling set at Target last summer for $5! Students bowl for 3 rounds and record the number of pins knocked down as fractions. 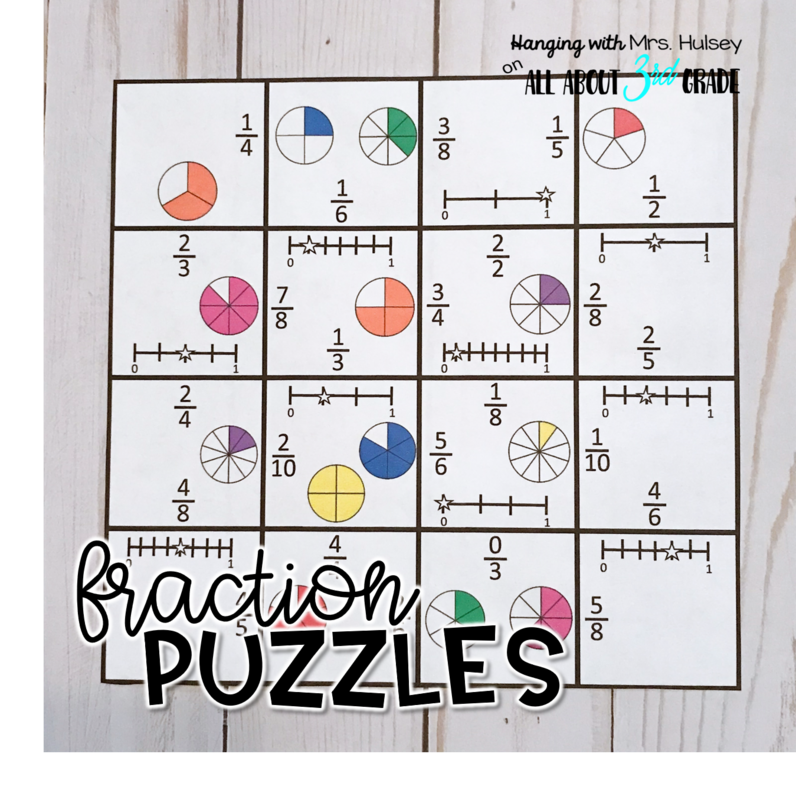 This sheet also has them practice by labeling/marking a number line, comparing fractions, and ordering fractions. I realize many people may not own this set-- but I did find a very adorable set of finger bowling games (12 sets for $12) on Amazon, and kids could easily play with a partner at their seats! 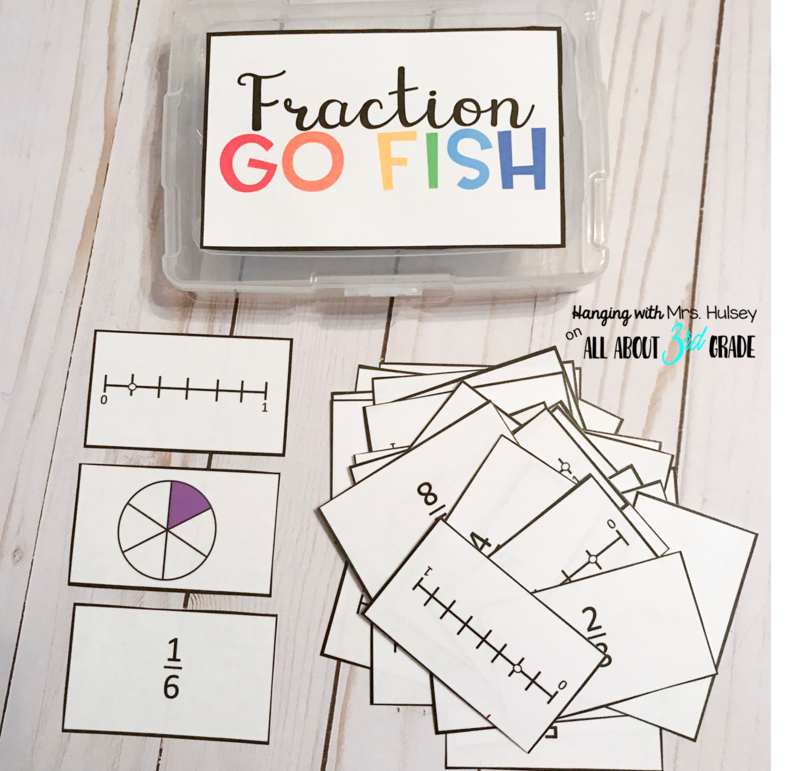 Click HERE or on the pic below to visit my TPT store and download the preview file (which contains 1 puzzle and 1 set of go fish cards for FREE)! 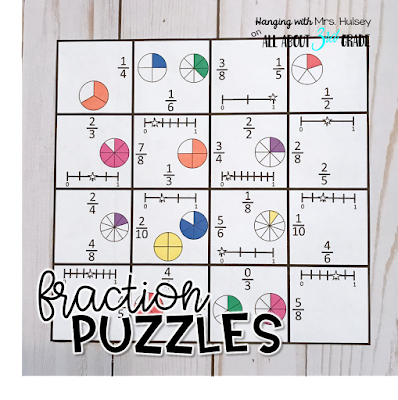 What are you favorite fraction activities and games? Feel free to share in the comments! Hope you have a lovely day!